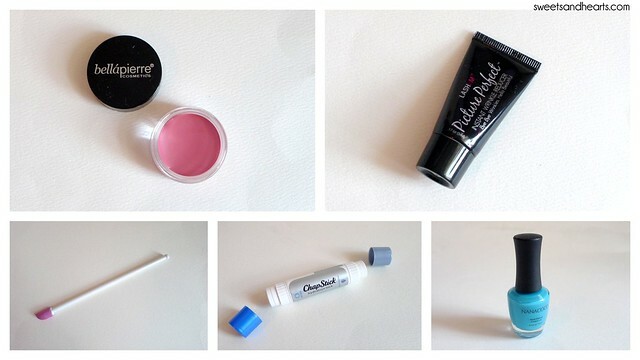 This month, Beauty Box 5 sent over a few good basics! I even got a gorgeous teal nail polish this time around (it's one of my favorite colors to wear on my nails). Read on for the review and swatches. Nanacoco - Nail Polish in "Surfer's Dream"
Bellapierre Cosmetics - Cheek and Lip Stain in Pink - This cheek and lip stain is not only versatile, but pretty too. It's a medium rosy pink with a touch of shimmer. You only need to dab and blend just a little on your cheeks for a light flush. I loved it as a cheek stain, but it washed me out when I wore it alone on my lips. Try layering it over a lipstick for a pearlescent finish if it doesn't work with your skintone by itself. 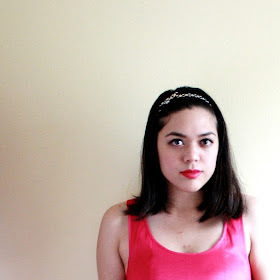 See below to see how it looked on me, as both a cheek and lip stain. Lashem - Picture Perfect - This serum helps smooth skin (it also reduces fine lines!). It works great as a makeup primer. It helped my BB cream apply a little more evenly. Extend Your Beauty - Cosmetic Tool 6 inches - At first sight, I couldn't figure out what this was. It's actually a cleverly designed tiny spatula wand for scooping out the remainder of whatever is left in your beauty products (because lets face it: some of those glosses and potions and things are pretty pricey, and you should be able to use 100% of them)! I wish I'd had this before I threw out some of my old lip glosses. It'll be great when my concealer runs low too. Best part: it's dishwasher safe so you can reuse it for just about anything. My BB5 box came with a 6 inch tool, but it also comes in other sizes as well (so useful for lotions, foundations, etc.). Chapstick - Hydration Lock - This double-ended lip balm has two conditioning formulas. I found the "moisturize" (vanilla flavored) side to be a good, light and basic balm, while the "renew" side (botanical flavored) was a little more hydrating. The "moisturize" formula smooths lips and contains antioxidants, while the "renew" end conditions with natural mango and shea butters. 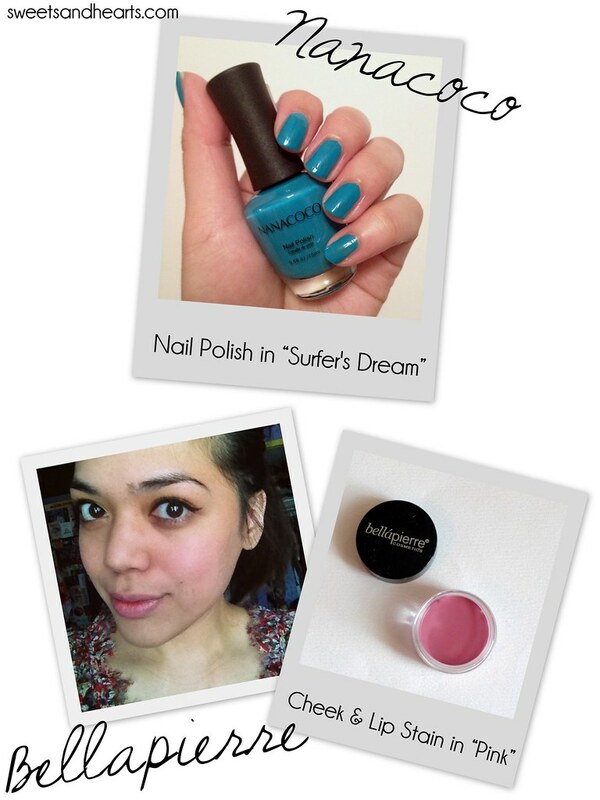 Nanacoco - Nail Polish in "Surfer's Dream" - This nail polish goes on smoothly and is opaque in just two coats. The teal is bold and gorgeous! It looks just like it does in the bottle. Great formula, great colors, and each bottle is just under $4! 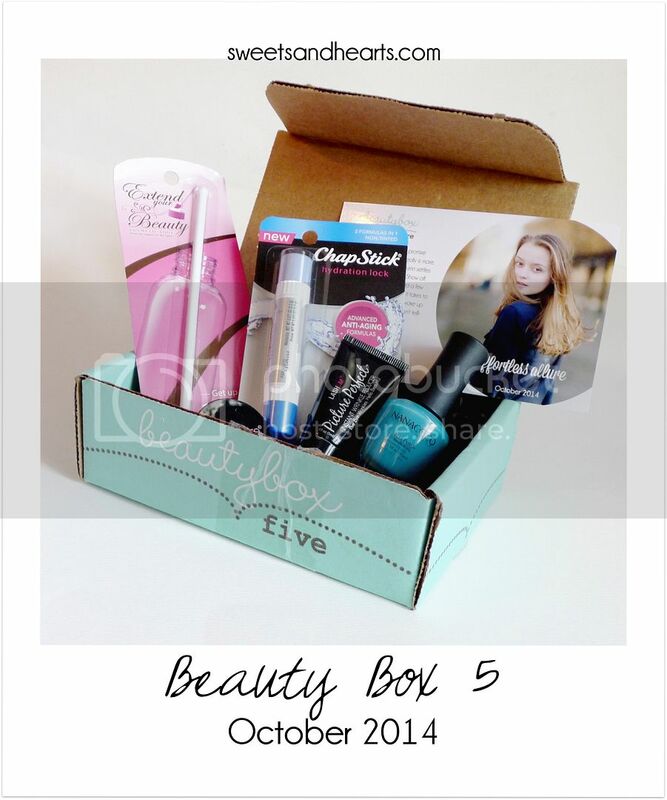 If you want to discover new beauty faves and receive 5 surprise products a month too, you can join Beauty Box 5 here! Or, browse their shop here for individual products.